Wine Collecting for Beginners | Wine Splash! 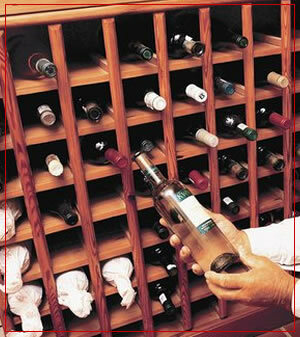 Red wines, white wines, sweet wines, dry wines, screw caps….the whirlwind of wine information is daunting! I put off starting my own wine collection for years because the thought of it was so intimidating. It is true that you will learn from your mistakes as you grow your wine collection. But let me propose to you that if you learn from MY mistakes, it will make your move from “wine hobbyist” to “wine collector” a much easier transition. So here is a short checklist of things I learned along the way as my wine collection started and grew. Grab a calculator and figure out if you can afford to invest into a wine collection and still be able to pay your bills and live comfortably. You will also have more of an idea of what price range of wines that you can afford. 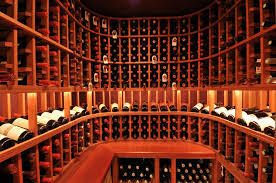 Figure out how much wine you normally drink in a month so you can keep your glass full but also be able to put some wine away for your collection. See if you can put aside 3 – 6 bottles a month. Include a wine or two that is more age worthy each time so you have more elegant wines to look forward to in the future. 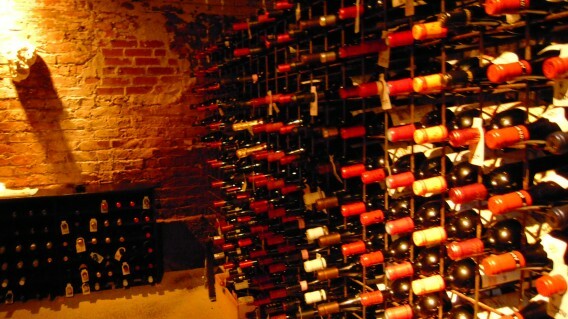 Wine likes to be stored in a cool, dark place while it waits for its time to take the stage. A cool, dark corner of a basement is best. If you do not have a basement, a dark closet away from heat vents or the hot rays of the sun is fine to start. Light and heat will age the wine much quicker and in many cases, could cause the wine to go bad. I do keep a small wine rack on my kitchen counter that holds 4 bottles of wine. I call this my “On Deck Circle”. These are the wines I am planning to drink in the next 2 – 10 days. Most wines at your local grocery store are meant to be drunk within a year from when you purchased them. On the back label of each bottle of wine I buy, I write the date I purchased it. (e.g. 4/13) And I also keep an inventory sheet of what wines I have in my collection. Then I know what I have, what needs to be drunk, and what wines I may need to fill into any open spots. I have found that the more knowledgeable I am about wine, the more comfortable I am about my wine purchases. 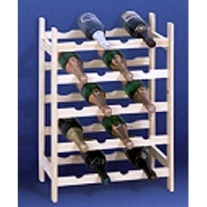 Buy wine magazines like Wine Connoisseur and Wine Spectator. These magazines also list “Best Buy” wines and there is nothing more fun that finding a $10 wine that tastes like a $25 bottle of wine. Pick the brains of the wine consultants at your local boutique wine store. Don’t be afraid to ask them questions about wine. If they have a real passion for wine, then they will want to share their knowledge with you. Buy wines that YOU like and don’t worry about what others are collecting. You don’t have to buy that ‘trendy’ bottle of wine just because everyone else is. Especially if you don’t like it! Mix it up and have variety! You don’t always have to buy 6 bottles or a case of the same wine. Shop at wine stores that will give you a discount when you buy 6 or more bottles of their wine and you will have different wines that pair with different foods. Attend wine tastings and visit as many local wineries as you can to become more knowledgeable about the wines you have access to in your area. Most large cities have organized wine groups with weekly or monthly wine tastings and events. It’s a fun way to learn about wine and meet people who also have a passion for wine too! Try to find quality wine glasses to taste your amazing wines in and use them! Riedel makes great glasses which bring out the full flavors of the wine you are tasting. You may feel that all this information is like your dad giving you advice. Some of it you may use, some of it you may never want to use, and the rest you will find out that dad was right after you did it anyway and will learn from your mistakes. But once you start your wine collection, you will be glad you did and will enjoy the benefits of great tasting wines all through your life. WineSplashing! !